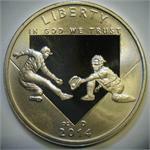 Baseball hall of fame, 39mm, Brass, Proof-like Finish. 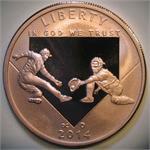 Baseball hall of fame, 39mm, Pure Copper, Proof-like Finish. 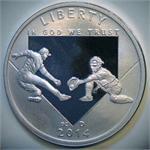 Baseball hall of fame, 39mm, 999 Silver (1 Troy Oz), Proof-like Finish.